Jean-Auguste-Dominique Ingres (1780-1867) produced a body of work that strongly appealed to his contemporaries while disconcerting them. Even today, the odd qualities of his work continue to fascinate scholars, critics, and artists. 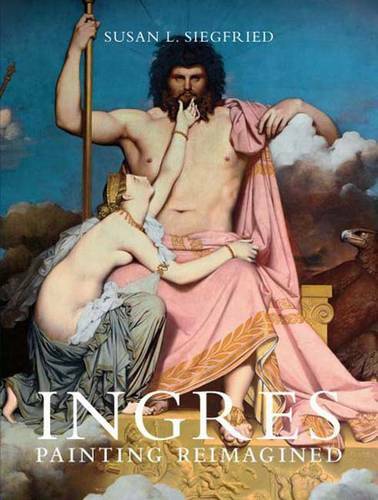 In this handsomely illustrated and elegantly written book, Susan L. Siegfried argues that the strangeness associated with Ingres's paintings needs to be located in the complex and richly invested nature of the work itself, as well as in the artist's very powerful-if often perverse-sense of artistic project. She shows that his major re-thinking of pictorial narrative - in his classical literary, historical, and religious subjects - was as central to his achievement as his distinctive rendering of the female figure in classical nudes and portraits. He was engaged in a complex process of giving visual form to narrative, which he did in new and unusual ways that involved him in a close reading of the texts on which he drew, including authors such as Homer, Virgil, Ariosto, and Dante, as well as religious narratives and stories about medieval and early modern French history.